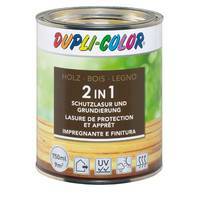 DUPLI-COLOR Wood Lasure and Primer 2in1 is a solvent-containing, thin film glaze for wood. Exemplary uses are fences, garden houses, carports, doors etc. 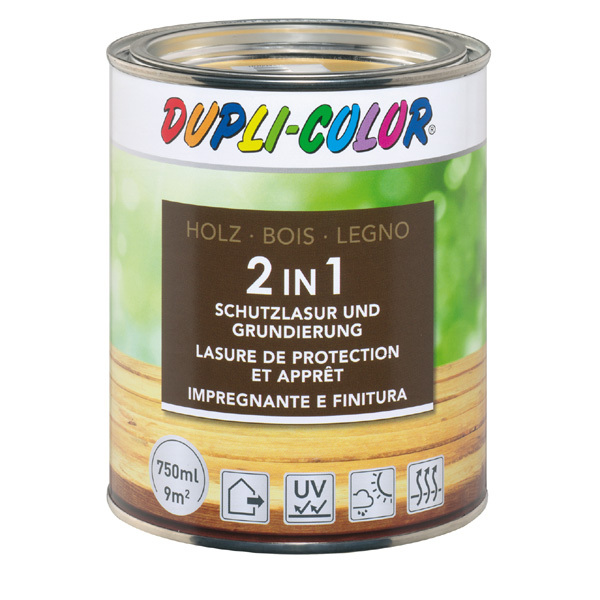 The glaze is a decorative, long-lasting wheather protection, which accentuates the natural wood grain. Only suitable for outside.